Just a crafty girl who loves knitting and pretty things. If you wonder where I post more, it's Instagram - but is what we see really as it seems? When all seems lost - some good advice. Paris banned cars for a day, and it was beautiful! Speaking of beautiful - twinkle lights! If I could every room in my house would have them! Something to make you smile - aren't these adorable? Also, something to make you laugh - loved this post from Amber! Knitting - we all know it's true! Related: Franklin Habit tells the truth. Apparently knitting is cool... but we all knew that already, right? November is time for cozy things - not sure I could commit to making anything like this though! Finally - 50 Happy Little Things. I won't be at a loss for crochet squares for long though! The lovely Emily at The Loopy Stitch has asked me to test crochet her new cushion pattern and I couldn't be more excited! It's a lovely pattern with step-by-step photos to guide you along the way and the cushion is so pretty! I've chosen my yarns - what do you think? Finally, some Christmas knitting! I can't believe it's time to start gift knitting again - where did this year go? 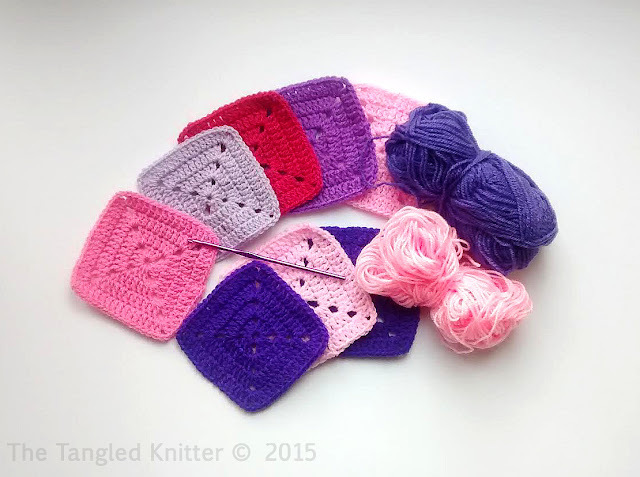 I'm sensing a theme at the moment - all my projects are pink!! Are there any colours you're gravitating towards at the moment? Despite the autumnal hues outside my window, I've not been able to shake off the pink and purple yarns in my project basket just yet! I've been churning them out whilst watching TV in the evenings - perfect now the season is really in full swing! Nothing better than curling up with hot tea, a warm quilt and the latest WIP! I feel a case of start-itis brewing though... Christmas will be here soon so there are presents to start, and walking to work in the morning is cold so I'm feeling the need for some fingerless mitts... Hmm... plenty of ideas brewing! What's on your needles/hook at the moment? 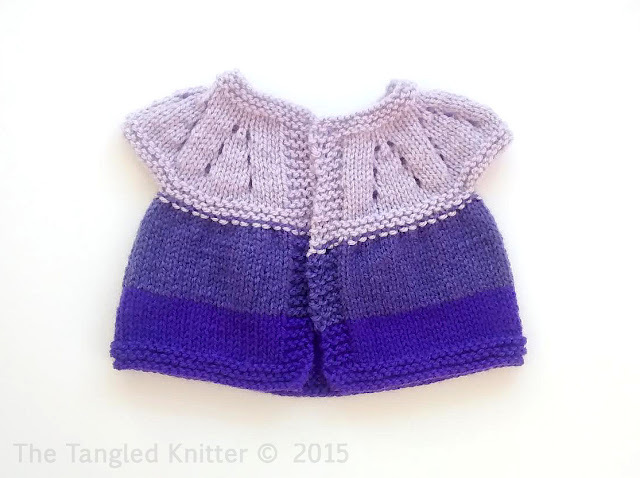 ...and because ombre is so fun, I maybe have started a purple one too! I don't think I'll ever tire of this pattern! It may just become one of those patterns - you know the ones - that you go back to over and over and over again (a bit like my favourite hat). It's just so sweet! 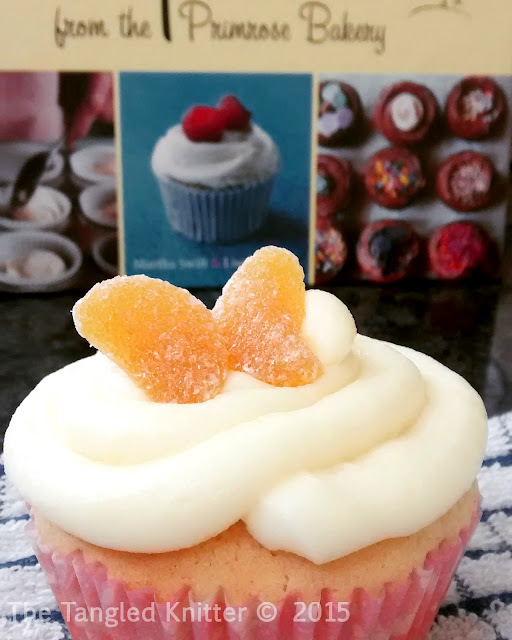 Lemon cupcakes with lemon buttercream - yum! Usually October is full of dark, warm, fall colours, but I can't seem to shake the pretty pastels and brights, even in baking! Ah well - even if outside is beginning to get gloomy, at least my knitting won't be. I'm on a good run with the knitting these days! Thanks to many evenings watching Once Upon A Time (which leaves things on a cliffhanger so you have to watch just one more episode!) I've been quite prolific. The above is the third preemie cardigan in just as many weeks. Starting to get more adventurous with colours - the above is going to be ombre pink! This pattern is so quick and simple to knit, and I've almost got it memorised - I'll probably churn out a few more to go towards Knit-A-Soc's Christmas donation to the neonatal ward. Both are children's knits, so I've chosen some Sirdar Snuggly - lovely and soft, but still machine washable. 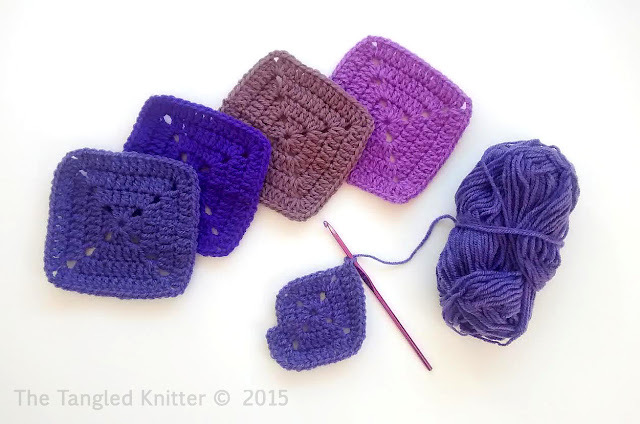 Of course, I never work on just one project at a time, so I'm likely to cast on one or two winter warmers as well! Wow! Is it the end of September already? This month seems to have passed in a blur of busy-ness! However that hasn't stopped me from finding lots of linky goodness for you all! It's a bumper lot this month, so grab a hot drink, settle yourself in your favourite comfy chair, and enjoy! First up are these cuties! So adorable! Creative re-imaginings of old photos - so cool! Did you hear about THAT Taylor Swift sweater? Knitting fuses with pop culture! Speaking of pop culture - is the RBF really worth all the talk? Perhaps a cure to the above issues - can we all have awesome lunches like these? Please? Interesting list of English facts - totally bringing back the "elf-choke" at the next available opportunity! Related: I've found a new obsession - snail mail is back! Alongside snail mail - is knitting a lost art? More knitting: we should all be picking up our needles this winter!! You know I love my lists! Inspiration to be found HERE and HERE.